As human populations grow and elephant habitats shrink, people and wild elephants are increasingly coming into close contact, and neither are faring very well. Human-Elephant Conflict is quickly escalating throughout SE Asia, with more endangered elephants and rural villagers killing each other every year. While HEC is on the rise all over Asia, we realized we couldn’t change it everywhere all at once so we began out work in a beautiful but complex little country surrounded by water, where shrinking elephant habitats and expanding human populations have fiercely collided: Sri Lanka. Many endangered Sri Lankan elephants endure tremendous suffering brought about from this growing conflict, dying from gunshot, traps, poison, or from eating explosives hidden in fruit. With little to no veterinary care available, many of these elephants die after prolonged suffering, and the poverty of the people becomes the poverty of the elephants and back around again. Our HEC work then spread to Cambodia, where decades of war, lack of education, and extremely limited options and choices created hot spots of Human Elephant Conflict throughout the country. Still recovering from natural disasters and wars, more and more people in rural Sri Lanka and the forests of Cambodia are forced to populate areas where elephants have historically lived without harassment. Everything the elephant knew about where to eat, sleep, and get water has changed, and that change has turned a relatively peaceful coexistance into quickly escalating conflict. It’s not just about the elephant, though. Imagine you managed to get your family’s rice crop through the vast challenges of a growing season, only to have a wild elephant ruin your entire crop while you slept. Or your family is awakened in the middle of the night to an elephant tearing apart your small mud-brick home and eating the food that was to feed you for months. When a farmer’s crops are destroyed by wild elephants, his children go hungry, and when foraging elephants destroy a villager’s home, people not only go hungry but also become homeless. If the situation continues to escalate and a farmer is killed by an elephant while tying to protect his farm and family, he leaves his wife and children destitute. It is easy to place blame for this escalating conflict, to lay judgement at the feet of the farmers or the government or even the elephants. But for a farmer who has killed an elephant as a last resort for raiding crops, there is a deep sadness in the death of this traditionally sacred animal. You can read more about the actions we took when we first became involved in alleviating this conflict in Sri Lanka, joining SLWCS in collaboration with Project Orange Elephant . What are we doing about it now? We turn Conflict into Coexistence! We’re devoted to shifting a past filled with conflict into a future of coexistence, for elephants AND people. Read more about a few of our completed projects that continue to create positive, sustainable change for elephants and people in SE Asia via HoneyBees and Orange Trees and Printing Human-Elephant Field Guides. 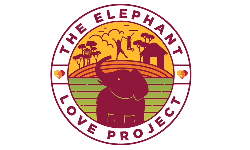 Currently expanding projects are sharing Elephant Love with children and communities in Sri Lanka, and Building a library in a remote school in Cambodia. If it inspires you half as much as it inspires us, then the world just tilted a little bit more to the good. 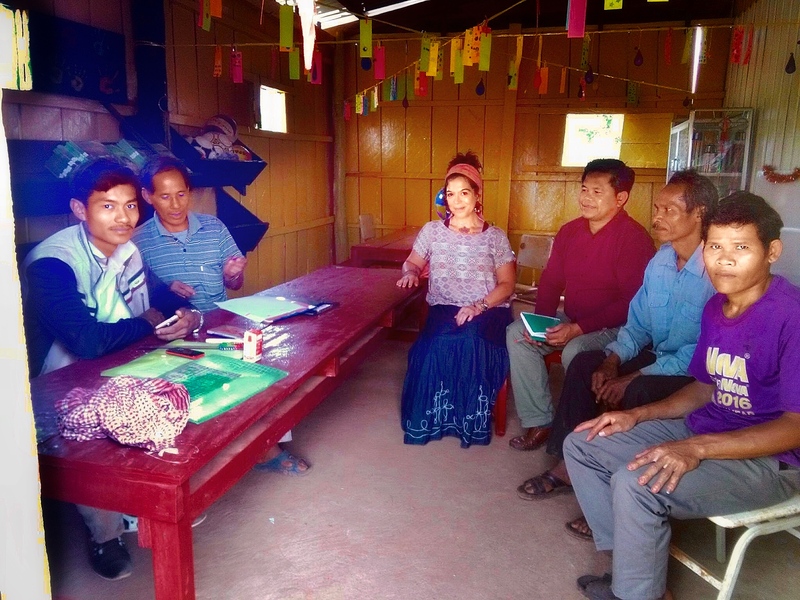 We work with rural school boards and community leaders to expand educational offerings in areas with escalating Human Elephant Conflict. When you want to change the future for elephants, you need to change the future for the people that live among them. Good people and innocent elephants clash as human population increases and elephant habitat decreases. We continue to explore sustainable alternatives for the elephants, the farmers, and the habitat they both call home. We met this little girl a week after her father was killed as he attempted to save his rice from a crop-raiding elephant. Giving subsistence farmers options and education helps resolve the aggression born from desperation, keeping human and elephant families safe. A subsistence farmer’s tree hut, where he’ll keep an eye out for crop-raiding elephants. The more we can help rural families keep their food supply safe through options and choices, the more we’ll end up keeping wild elephants safe too!